Find out how a dedicated group of culture vultures unearthed America’s 20th century obsession with Polynesia and created their own Plastic Paradise — hipsters, hula girls, and mermaids included. In the 1940s and 1950s, the return of American GIs from the Pacific helped launch a postwar Polynesian craze that lasted more than three decades. Thor Heyerdahl’s Kon-Tiki expedition, James Michener’s Tales of the South Pacific, and Hawaiian statehood all fueled the phenomenon. This “tiki” culture — so named after the large, wooden sculptures found throughout Polynesia — included candy-colored, rum-infused cocktails with names like the Zombie and the Missionary’s Downfall, crazy Hawaiian shirts, exotic instrumental music fused with space-age pop, and a nonstop party scene inhabited by self-styled nonconformists and swingers. Today, the spirit of tiki endures among a new generation of Polynesian popsters, including musician Denny “King Kukulele” Moynahan, cocktail anthropologist Jeff “Beachbum” Berry, and tiki historian Sven Kirsten. Plastic Paradise explores this fascinating, little known, and surprisingly enduring subculture. 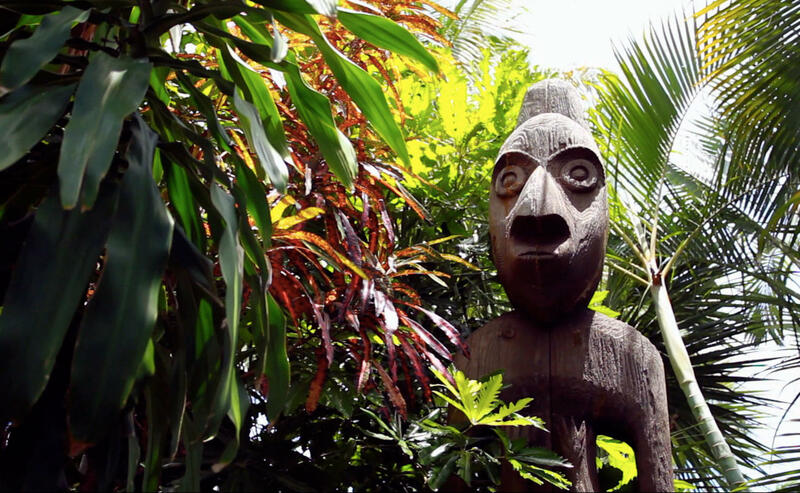 Making stops in Los Angeles, New York City, and South Florida, the film culminates with a visit to Hukilau, the largest gathering of tikiphiles on the East Coast, held every year at Fort Lauderdale’s famed Mai-Kai Restaurant.